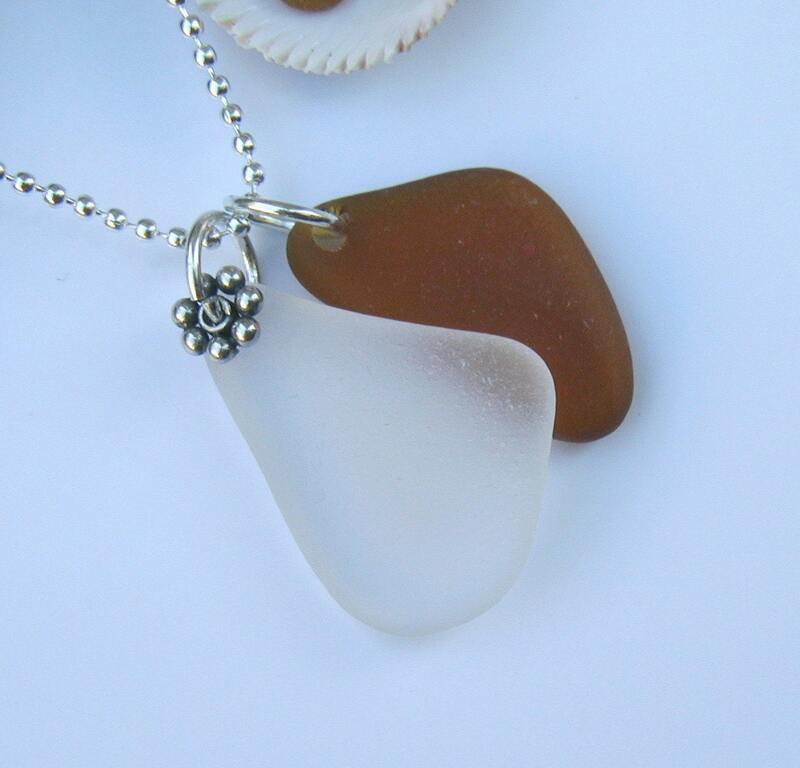 Crafting, Etsy, and Everything Else: Seaglass, Anyone? 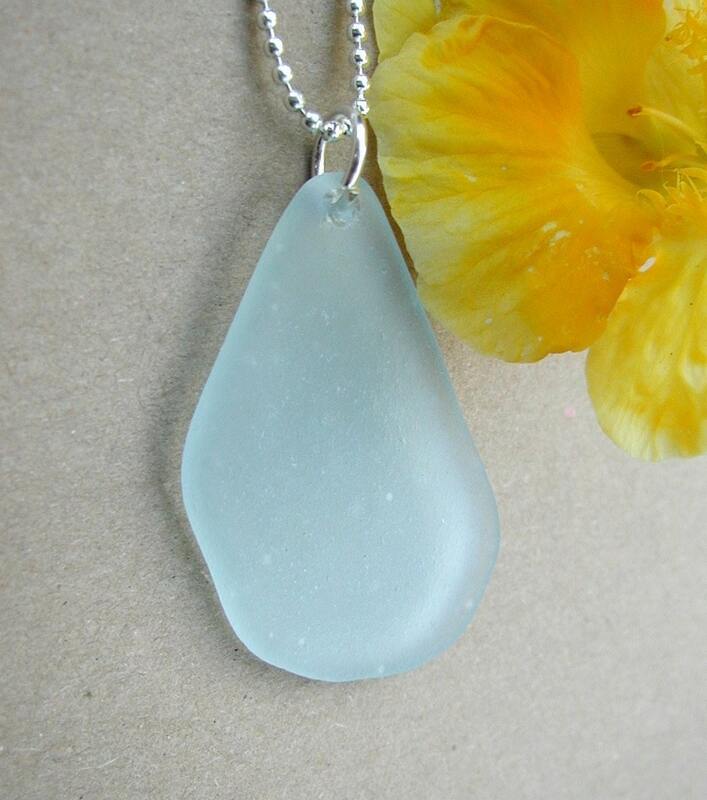 I've always loved seaglass, and I can literally spend hours looking through all the gorgeous seaglass jewelry on Etsy, without getting the least bit bored. That's how I came across today's featured shop, newsprout. 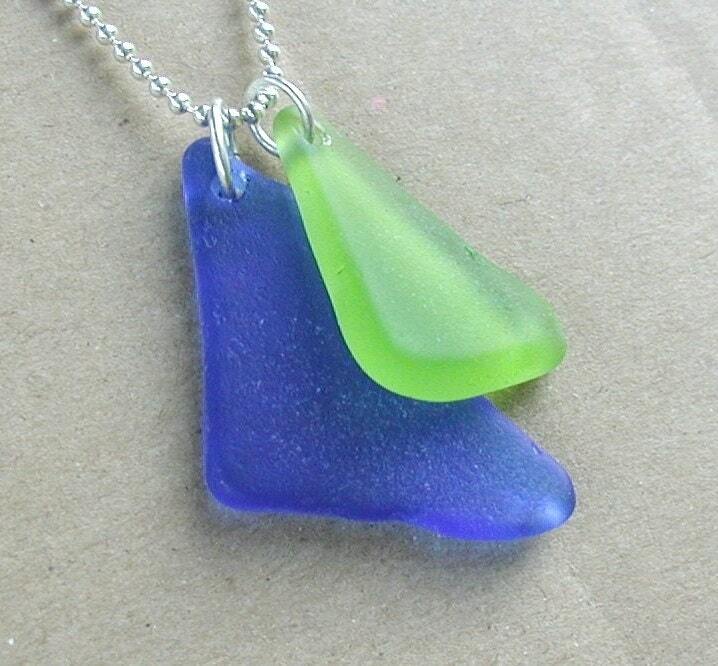 I admit it was difficult to narrow it down to featuring just one seaglass shop today (and I may have to remedy that with more seaglass posts in the future), but what really set this shop apart is that I wanted to favorite just about every item in the shop! 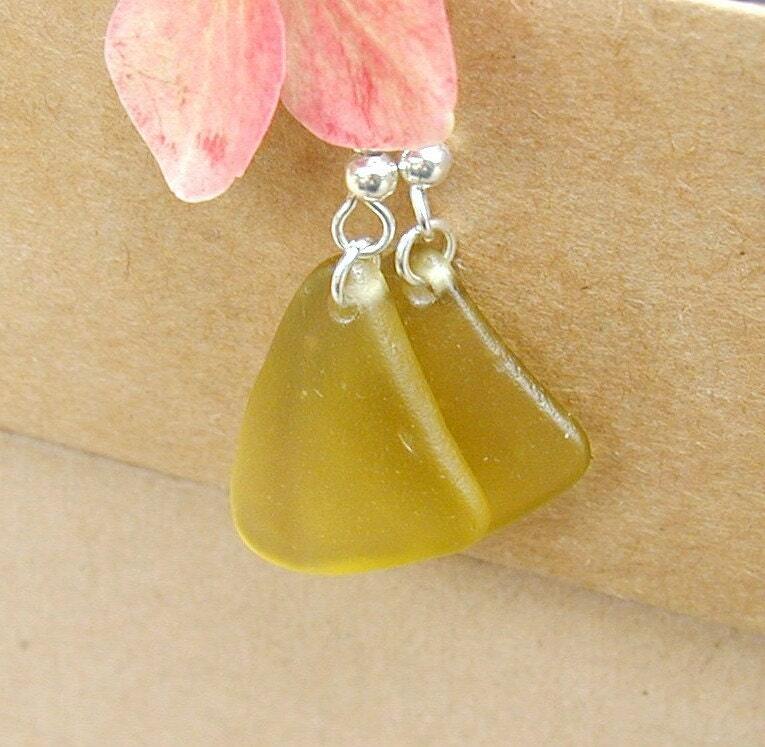 I love the simple beauty and elegance of these pieces. The glass itself is so beautiful, it pretty much stands on it's own, and I love that the artist allows it to do that. These earrings catch the light so nicely. 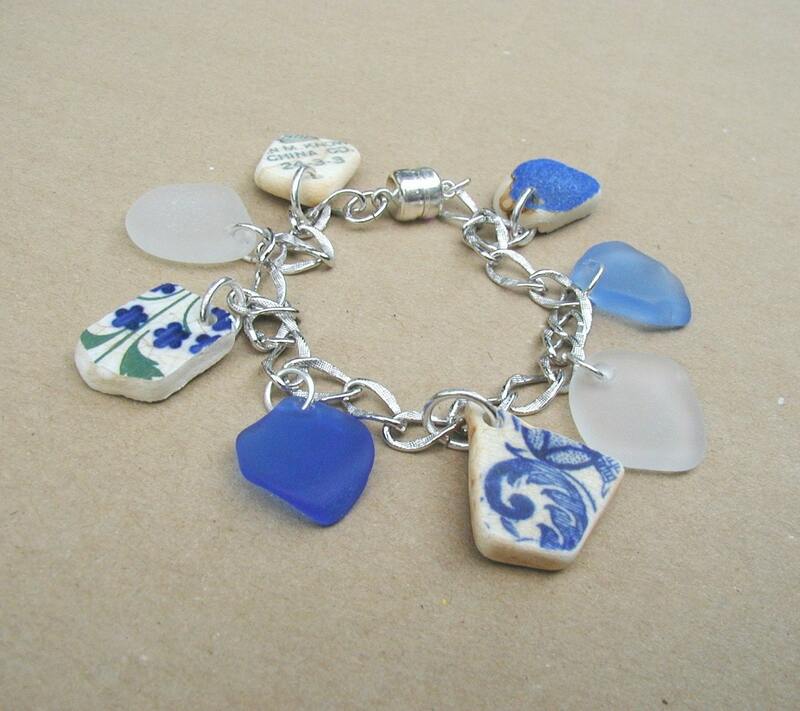 In addition to seaglass, the artist sometimes uses vintage sea-smoothed pottery pieces, as in this bracelet. 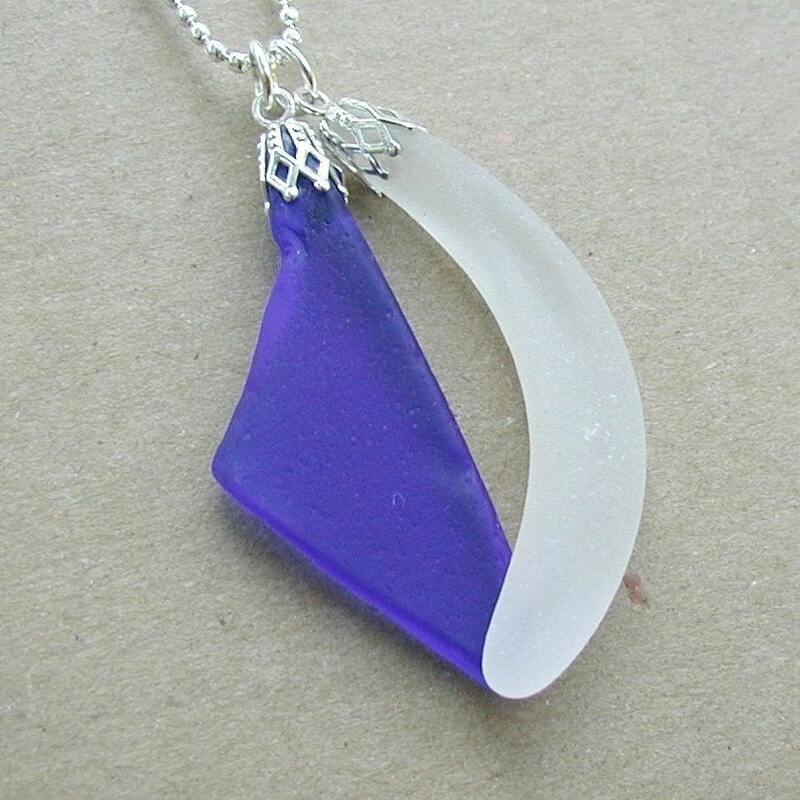 I really like this style of two coordinating pieces of seaglass together as a pendant, and it's not something I've seen in any other shop. Again, with the simple, elegant beauty! 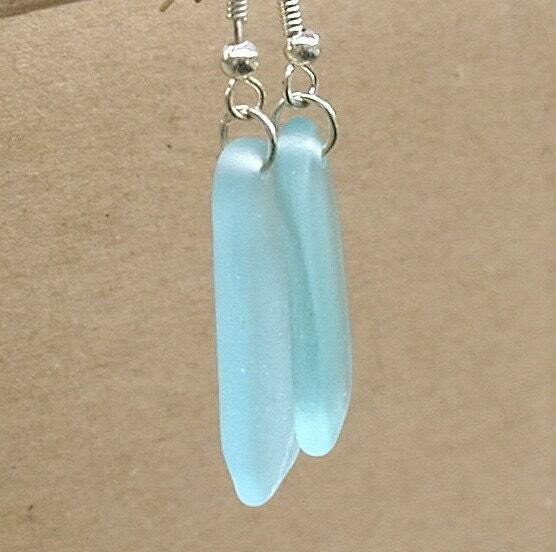 These earrings are just gorgeous, and the excellent photography shows them off so nicely. As someone constantly struggling to produce presentable photos of my own products, I really appreciate good photography when I see it! There are many, many more beautiful items in the newsprout shop (I didn't want this post to go on forever, so there were LOTS that I wanted to include but didn't). If you like what you've seen here, then be sure and go take a browse around for yourself. 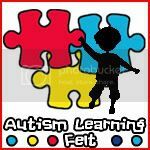 I've also linked each photo to its corresponding page in her Etsy shop, for your quick-click convenience. this is definitely beautiful work, a very talented artist indeed. 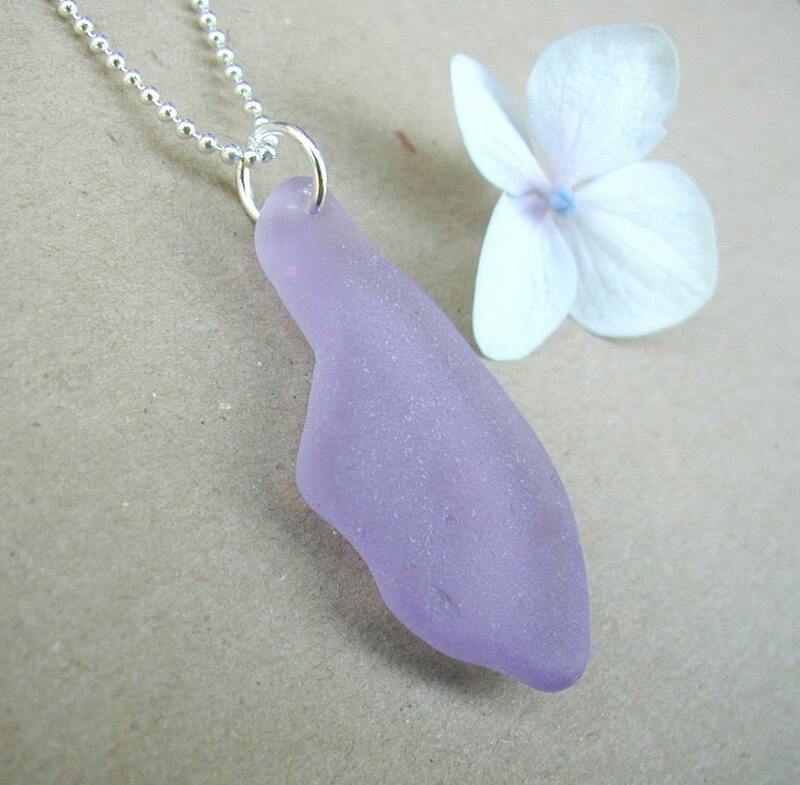 i had no idea you could find sea glass stuff on etsy, honestly it constantly delights me as a marketplace!